collection of the late medieval times. The National Library of Armenia joins Manuscriptorium. The first contribution is a digital copy of Urbathagirq - the first book printed in Armenian language. The book originated in Venice in 1512 by Hakob Meghapart. 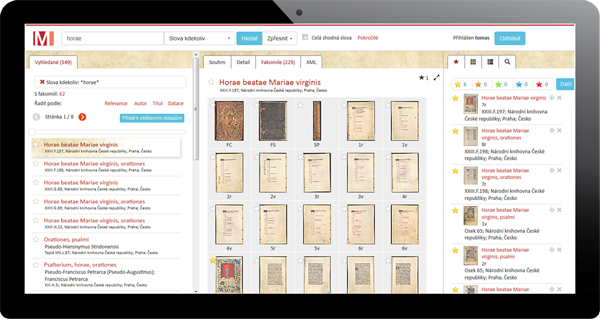 The features of our personal digital library allow you to manage your favorite contents, save search queries, create user collections and virtual documents. You can also annotate and share your contents with other users. You can use five color categories to mark documents or their individual pages to access the content quickly from your Favorites tab. We change the perception of traditional digital libraries: a creative space instead of a passive database.